Recently it has been reported that a New York based art dealer confessed to a 15 year old fraud. The art dealer’s startling revelation has helped the authorities to blow the lid off a very serious scam. It seems that the dealer duped art enthusiasts into buying more than $80 million worth of counterfeit modern paintings. Glafira Rosales is the art dealer who has reportedly pleaded guilty to the charges pressed against him at the Manhattan district court. Rosales has admitted to the fact that for around two decades she has teamed up with her other accomplices in order to sell fake paintings of various expressionist artists to gullible buyers. Investigators claimed that the group imitated the works of well-known artists of the likes of Mark Rothko, Jackson Pollock, Willem De Kooning, Franz Kline and Robert Motherwell. Forensic testing has reportedly helped to confirm the finding that many of the paintings were elaborate forgeries. It now seems that several works of art were actually fakes that were created by unscrupulous individuals who later palmed them off as originals to unsuspecting customers. 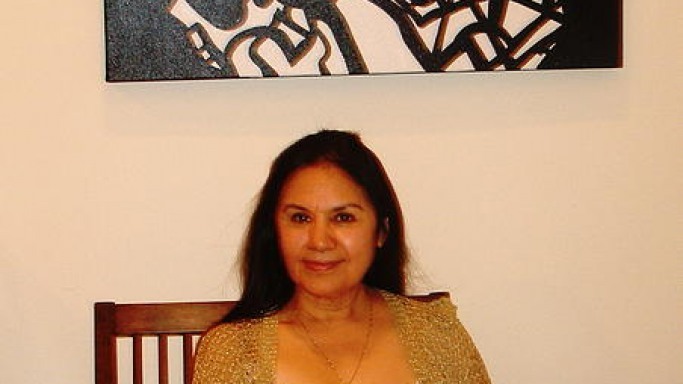 However Rosales claimed that she acted as an agent for about a dozen of those fake paintings on behalf of a specific client who according to her, was a reputed Spanish art collector. The fraudster also claimed that she earned millions by selling the counterfeits to the Knoedler Gallery and the Manhattan based Julian Weissman Fine Art gallery. However representatives of the art gallery who helped Rosales to sell off the fake works believed that the paintings were completely authentic and as a result were comprehensively duped. The confessions came as Glafirs pleaded guilty to a total of nine charges which includes offenses like tax evasion and money laundering. The prosecutors even claim that these are very serious charges which can carry a maximum prison term of up to 100 years. Media reports speculate that more people will be slapped with criminal charges and Rosales’ arrest is certainly not the last one in this high profile case. Media reports even claim that the con woman has also defrauded several Manhattan art galleries to the tune of more than $30 million by hawking off an estimated 63 fake art pieces. The counterfeit art works were promoted as the real deal by passing them off as hitherto undiscovered paintings. This deceptive promotional strategy helped to attract deals amounting to a whopping $80 million from honest customers. Reportedly as part of the plea deal she has decided to pay all her pending tax liabilities and penalties from the years 2006 to 2011. Rosales is also slated to forfeit her personal property valued at $33 million which she has acquired by the money earned from her multiple crimes. Her palatial homes along with all art works purchased between 1994 till 2012 will be confiscated by the authorities. Rosales’ is due to be sentenced on March 2014, but according to well-placed sources her day of reckoning can be postponed to a later date.